Committed to helping our clients achieve their commercial goals, Shearman & Sterling delivers high-quality advice and effective business solutions wherever antitrust issues arise. Our lawyers have market-leading experience dealing with all aspects of U.S. and EU antitrust law and represent clients on some of the world’s most challenging, multi-jurisdictional antitrust cases. These include complex mergers and acquisitions in the United States, Europe and other jurisdictions; unilateral conduct; antitrust/IP interface; cartel investigations; antitrust compliance and counseling; State aid and privatizations; market investigations; and litigation, including in antitrust class action lawsuits and jury trials. Our mandates include cases that broke new ground and have become legal precedents. We have the technical skills, industry experience and agency relationships to facilitate effective dealings with the key antitrust authorities, and our senior team members include former competition law enforcement officials. Armed with this talent and insight, we develop tactics and provide powerful oral and written advocacy, tailored to maximize the persuasiveness and effectiveness of a client’s position before the antitrust agencies or relevant courts. Shearman & Sterling, with counsel representing other defendants in the ongoing U.K. air cargo follow-on litigation, received the “Litigation of the Year – Cartel Defense” award from Global Competition Review (GCR) for its work on behalf of Cargolux Airlines. This award is an annual celebration of “creative, strategic and innovative litigation on behalf of a defendant in a private action for cartel damages” over the past year. 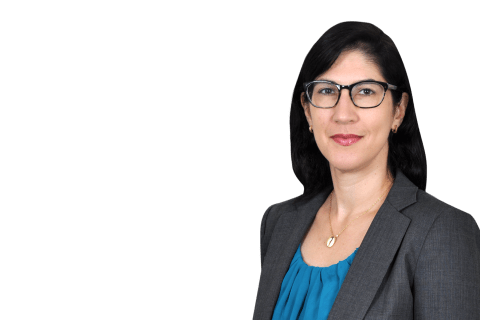 Shearman & Sterling partners Jessica Delbaum (New York), James Webber (London) and Elvira Aliende Rodriguez (Brussels) are featured in Who’s Who Legal’s first-ever listing of the upcoming stars of the global competition community: Competition – Future Leaders 2017 list. The firm was commended for Merger Matrix, a web-based tool that automates the analysis of antitrust filing obligations for M&A deals in 62 countries. Private equity and other clients use the tool to generate quick answers to help evaluate potential M&A deals without involving lawyers. Shearman & Sterling received The American Lawyer Global Legal Award for Global Dispute of the Year: International Litigation. The firm was recognized for its significant victory on behalf of client Cargolux Airlines International in the Airfreight case before the General Court of the European Union. Shearman & Sterling received the “Matter of the Year Award” from Global Competition Review (GCR), the leading competition law and policy journal, for its representation of Cargolux Airlines International in the Airfreight Investigation and the landmark annulment of the European Commission’s 2010 decision by the General Court of the European Union. 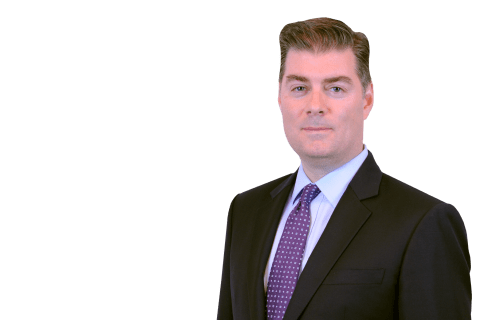 Shearman & Sterling London Partner James Webber has been recognized in Global Competition Review's 2015 "40 Under 40" list of leading competition lawyers worldwide. The list profiles the brightest young minds in the antitrust world, whose superior technical skill, practical judgement, and commitment to the competition sector mark them out as part of the next generation of leading antitrust practitioners. Lawyers are nominated by peers at law firms, economic consultancies, enforcement agencies, and academic institutions. Drawing on lawyers in the United States, Europe and Asia, our antitrust litigators combine industry knowledge, technical experience and advocacy skills with strategic and commercial advice to ensure the best outcome for our clients. In the US, we regularly represent clients across a wide range of industries and counsel them on issues relating to Sherman Act Section 1 price-fixing and market allocation claims; Sherman Act Section 2 monopolization claims, including price discrimination, exclusive dealing, tying and bundling; claims arising under state antitrust and unfair competition laws; exclusive-dealing cases; merger cases. 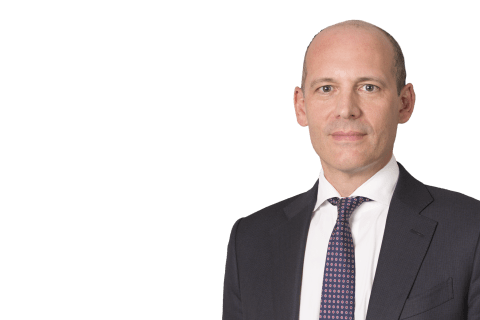 Similarly, in Europe, we have counselled and represented a wide range of clients in relation to cartels, cooperation agreements, dominance cases, mergers, state aid in front of the European Commission and national competition authorities. In addition, we have acted for clients in stand-alone and follow-on actions for damages and injunctions for breaches of competition law in national courts of EU Member States, as well as in appeals to the European Courts against decisions taken by the European Commission. The team includes former government officials and the group has extensive experience in both civil and criminal antitrust matters, as well as cartel investigations. In particular, the team is known for its involvement in nearly all of the benchmarking matters related to the financial industry, including Interest Rate Swaps, FX, ISDAfix, LIBOR, Treasuries and SSA Bonds. Our work is also regularly shortlisted for awards. For instance, Global Competition Review named the Air Cargo investigation as its 2016 ‘Matter of the Year’ and The American Lawyer made it its ‘Global Dispute of the Year: International Litigation’ (2016). Cartel enforcement is the top priority of a growing number of antitrust authorities across the globe. Cartel matters are increasingly coordinated, involving investigations across multiple jurisdictions in the EU, U.S. and Asia. Shearman & Sterling’s Antitrust team handles complex multi-jurisdictional cartel and grand jury investigations, as well as class action litigations. Our focus is on contentious matters and the strategic response to global antitrust investigations by multiple enforcement authorities. Prevention of any cartel behavior is obviously the optimal strategy. However, if a company becomes the subject of an investigation, careful coordination of tactics in the various relevant jurisdictions is essential to ensure an effective defense. The combination of our vast cartel experience and global presence enables us to provide clients with swift, coordinated and effective global representation against allegations of cartel behavior. We have an integrated group of international lawyers with a high level of experience in U.S. and European investigations, criminal and administrative antitrust enforcement, white collar defense and counseling, and civil litigation. We regularly advise on all cartel-related issues, including grand jury investigations; U.S. DOJ prosecutions and plea agreements; U.S. class action proceedings; EU and national administrative enforcement proceedings; “dawn raids” by the European Commission and national agencies; antitrust litigation before European national courts; leniency advice and applications; securities and stock exchange disclosures; labor and employment issues; U.S. government contracting debarment actions; national criminal investigations; and appellate proceedings. To assess, manage and minimize antitrust law exposure in a rapidly changing environment, clients look to our team for effective compliance programs and sophisticated antitrust counseling. The Shearman & Sterling Antitrust team works with many of our clients to achieve their business goals while reducing the risk of breaching antitrust laws both by designing and implementing customized compliance programs and providing day-to-day antitrust advice. International antitrust attention remains focused on the intersection of antitrust and intellectual property law. While antitrust rules aim to protect competition, IP laws grant temporary legal monopolies. The Shearman & Sterling Antitrust team has successfully handled several complex high-profile matters in this area. The tension between IP protection and antitrust has recently increased significantly. 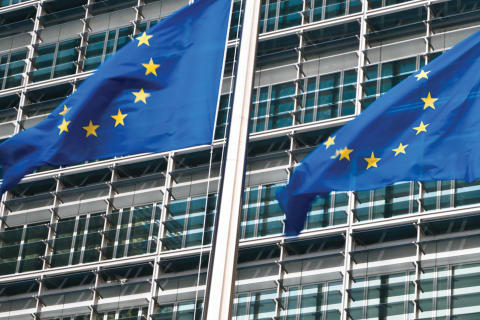 European and U.S. regulators have focused on several cases alleging that companies had used their IP rights to unlawfully restrict competition. The risk of inconsistent outcomes under U.S. and EU laws is a real danger, particularly where IP is a core part of a company’s business and the company can be alleged to be dominant in a particular product or technology market. Businesses developing or acquiring valuable IP must consider the antitrust consequences. Analyzing the effects of their conduct and ensuring antitrust compliance will allow companies to avoid potentially protracted and thorny litigation or regulatory intervention. These businesses need not adopt an excessively formalistic approach to managing antitrust exposure that risks stifling innovation. An effective antitrust compliance policy, based on a sound understanding of antitrust rules, should always be compatible with conduct seeking to ensure an adequate return on R&D investment by preserving the integrity of IP rights and protecting innovators from free riding. Antitrust issues arising from the ever-increasing use of big data, algorithms and artificial intelligence have recently been in the spotlight. We have been actively engaged in discussions within the antitrust community on these topics and have counseled clients on antirust-related issues. The European Commission and regulators in EU Member States have market investigative powers to conduct a public investigation whenever there are reasonable grounds to suspect that competition is distorted or restricted in a certain market. Market investigations can result in specific enforcement actions against companies. Companies need to consider their position from the outset. 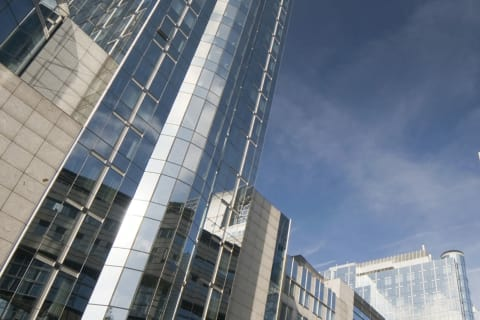 Our team of antitrust lawyers has extensive experience advising companies how to navigate through complex sector-specific inquiries at both the EU and national level. Although market investigations can focus on a particular industry practice, most inquiries involve a broader assessment of whether competition is functioning effectively in a particular market. Such inquiries usually last more than a year, and targeted companies are often required to submit large amounts of information. The aspects examined in market investigations typically include how competition in oligopolistic markets can be expected to evolve, how prices and profits have moved over time and whether the industry in question is meeting the needs of its customers. Economic analysis is an essential component in market investigations, as it provides insights into how competitive markets should be expected to work and which remedies are most appropriate to achieve more competitive outcomes. High-stakes mergers and acquisitions demand experienced and innovative antitrust counsel. 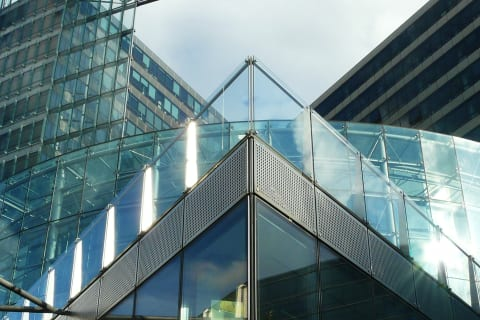 Shearman & Sterling has a market-leading track record dealing with complex Phase I and Phase II merger investigations in the EU and Second Request investigations the U.S., having obtained unconditional clearances for our clients in many high-profile cases. Where remedies are required, we have reached successful settlements on the basis of innovative remedies which adequately address the authority’s concern without undermining the commercial value of the acquisition. By integrating cutting-edge economic analyses into the defense of a proposed transaction, we craft robust legal and economic arguments to overcome an authority’s initial presumptions. Due to their professional connections, experience and technical knowledge, our lawyers are able to develop tailored clearance tactics and engage effectively at all levels of the European Commission, Federal Trade Commission and Department of Justice hierarchy. We advise on international transactions requiring clearance in jurisdictions throughout the world, including on worldwide intervention risk and clearance strategies to maximize the client’s ability to obtain all the necessary clearances as expeditiously as possible. These strategies include the design of remedy packages that can be used to address issues with all relevant regulators, minimizing the commercial impact as far as practicable and consistent with the client’s commercial objectives. We have access to an international network of leading antitrust counsel with whom we work regularly. The EU rules governing the legality of support granted by member states to private or public corporations have become an increasingly important part of EU competition policy. Corporations, as well as their investors, and governments routinely rely on the considerable EU State aid experience of our lawyers to address their State aid issues. Members of the team have worked at the European Commission and national authorities and have acted in many significant State aid investigation procedures, notably on cases concerning the restructuring and privatization of State-owned companies, as well as major industrial investment projects and landmark bank restructurings. Historically of limited importance to most corporations, the State aid “toolbox” is now being used by the EC to support a wide range of policy objectives. Banking union, tax competition between Member States and tax “fairness” are all policies the EC has used its State aid powers to advance. The recent tax cases against corporate tax arrangements and Italian bank bailouts are examples of this. Despite its increasing importance to corporates, there are few advisers with deep State aid experience. Further, compared to antitrust and merger control, parties have very few procedural rights or protections. Together, this makes choosing a skilled and experienced advisory team vital to protecting our clients’ interests. Clients with significant market positions call on our antitrust lawyers to devise market strategies that will allow them to achieve their commercial goals without running afoul of antitrust laws. Equally, companies that are victims of abusive behavior count on us to generate effective enforcement activity by the antitrust agencies. A company that holds a dominant position will be held to infringe EU competition law if it is established that it has abused that position. Such a company will almost certainly be subject to substantial fines and restraints on its competitive behavior. Recent cases in which the team has defended clients include purported excessive royalty demands, anti-competitive tying and exclusionary rebates and bundled discounts. In other matters, we have successfully assisted clients suffering from the impact of abusive behavior in obtaining effective redress. Simply possessing market power or exercising that market power (e.g., to obtain higher prices) is not illegal in the U.S. A firm must have engaged in anticompetitive exclusionary acts to obtain or maintain its monopoly position. U.S. courts generally have found that anticompetitive conduct is conduct that excludes competitors from the relevant market and harms the competitive process. We have litigated, through jury trial, Section 2 cases in federal courts throughout the U.S. with strong results for our clients. In addition, we provide regular counseling to major corporations on potential Section 2 issues arising out of product pricing and bundling, relationships with distributors and direct purchasers, contracting and marketing practices, and other strategic business issues.